High-quality wigs can put a financial burden on patients with cancer. Lolly's Locks wants to help. 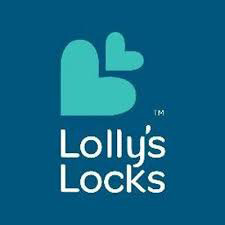 Lolly’s Locks was founded in 2012 with the mission to provide high-quality wigs to patients with cancer. To gain insight into what patients should know about hair loss during cancer and about the mission of Lolly’s Locks, CURE interviewed Jaime Wright, the organization’s co-founder and executive director. How did Lolly's Locks come to be? To my mom, it felt like all of a sudden all eyes were going to be on her, the cancer patient, as opposed to her, this vivacious, smart woman that people congregated around and loved to hear talk about everything — she was funny and charming and insightful. When she was released from the hospital and chemo was imminent, we went to look for a wig, and that was when we realized that wigs are expensive and there is a lot of information to navigate. There was so much we had no idea about. She was lucky enough to get a wig and be able to afford it. When she realized what a big impact it had on her and how it meant that she was able to continue to be with the people she loved and to be out and about in the world, she wanted to help other women that didn't have access to wigs or money to pay for a wig. That's what Lolly's Locks is based on. What are some of the most common questions you get from patients about hair loss after a diagnosis of cancer? Hair loss is just one of those side effects that everybody thinks of when they think of cancer and chemotherapy. Usually, 'Am I going to lose my hair?' is one of the first questions that comes up with a diagnosis. I think doctors, nurses and navigators are getting better at answering and handling this question. For a while, patients weren't really given enough information about the odds of a particular treatment causing hair loss. And then, if a patient is going to lose their hair, what does that actually look like? What does that mean? How long does it take? Does it hurt? All of these types of things. I think that knowledge is power. The more patients are able to know and know what to expect, the easier it is is for them — even if they're hearing things that are hard to digest. I think the best doctors, nurses and navigators are the ones that are telling patients about the odds, how it will feel and the timeline. What are the answers to the common questions? What do you think a patient should know about hair loss after receiving a cancer diagnosis? Not every chemotherapy results in hair loss. Even with chemotherapies that do typically result in hair loss, not every patient experiences it. If a patient is going to lose their hair, oftentimes it happens after the second treatment. Not always, but often. A lot of times, patients are told that x percentage of patients never lose their hair and the rest do. So then they go home after their first treatment and don't lose their hair. I've talked to quite a few people who are then devastated when after the second treatment, they do lose their hair. Some patients only experience thinning and others experience complete hair loss. Many patients do say that when their hair comes out, or right before it comes out, they experience a sore scalp — like a bruising or tingling feeling. That could be really scary if they don't expect it. Many people also like to talk about getting ahead of it and shaving their head. I think that can be a really, really empowering thing to do. That said, I think people should consider that before shaving their head, their scalp is likely to be sensitive. Cutting it short — like a pixie — that might make a little more sense than a total buzz cut. Another cool thing I see a lot of patients do is go to a hair stylist that they know and trust. The patient will have the stylist cut a series of shorter hair styles to get to a place where they're comfortable. That can be cathartic and empowering, but it also shows a patient what their hair might look like when it grows back. It's not as abrupt as a buzz cut. When patients cut their hair short, it also helps avoid waking up with long hairs on their pillows or in the shower, which can be emotionally taxing. Where does Lolly's Locks fit into all of this? We are a 501(c)(3) nonprofit and our goal is to put patients who cannot afford it into high-quality wigs. High-quality is reflected by hair that's used, cap construction, fit and similarity to a person's pre-cancer hair. A high-quality wig looks and feels real. It should also be really comfortable. High-quality wigs can be very, very expensive. A lot of insurance plans, on their face, appear to cover wigs. We see this a lot. It's especially devastating to a patient because they thought they were covered and their doctor writes them a prescription for a cranial prosthesis (a wig). When the patient goes to get a wig then, they're told they're not in network or they'll only cover some of it. A lot of insurance companies also say they'll cover an expensive wig ... with the caveat that it has to be an in-network provider and the patient has to go on a wild goose chase for that. I don't think enough people are talking about this. Again, high-quality wigs are expensive. A synthetic wig can cost hundreds of dollars and a human hair wig can cost in the thousands. That's a huge amount of money for most people, let alone a patient that suddenly has all sorts of other costs associated with treatment. As an organization, we spend an average of $1,100 on one patient. And we've served over 450 patients in 46 states. That's what we do — we're out there to make it possible for people to get in these high-quality wigs that will last. We're also always trying to educate patients and make them feel empowered.